My Nominations: 7 Women. The Bible: In The Beginning. The Chase. The Good, The Bad, And The Ugly. How To Steal A Million. A Man For All Seasons. Who’s Afraid Of Virginia Woolf? Time for the all important Best Cast category of 1966, with a variety of epics, classics, and forgotten gems making up my list. Anne Bancfroft leads a nearly all-women cast in 7 Women, with Sue Lyon, Flora Dobson and other backing her up. On the epic front, The Bible goes old school, packing as many A listers and cameos in as possible but doesn’t quite match up to the movies it tries to emulate – Michael Parks, Ava Gardener, George C Scott, Peter O’Toole all popping up as your favourite Sunday School characters. A Man For All Seasons would likely have been the official winner if this category existed, with a handful of Redgraves starring alongside Orson Welles, John Hurt, Robert Shaw, and Paul Schofield, but it would have had a close fight on its hands thanks to the more powerful work by Taylor, Burton, Segal, and Dennis in Who’s Afraid Of Virginia Woolf? My remaining picks didn’t do as well at the Official ceremony, but are each packed with great performances, perhaps none more so than The Good, The Bad, And The Ugly – Eastwood, Wallach, and Van Cleer on top form. How To Steal A Million, saw Wallach again make an impact along with Audrey Hepburn, Peter O’Toole, and Hugh Griffith. My win though goes to the least known of the bunch, with Brando, Fonda, Angie Dickinson, and Robert Redford leading a cast including Robert Duvall and Clifton James. Which film of 1966 do you think had the Best Cast giving the best performances? Let us know in the comments! Not a very exciting this year, I’m afraid! What is your pick for Best Visual Effects of 1966? Let us know in the comments! As we know, this category was still over a decade away from becoming a reality, but thanks to The Spac Hole we can right that wrong. My Nominations: Dracula – Prince Of Darkness. Plague Of The Zombies. The Good The Bad And The Ugly. Fantastic Voyage. The Bible. A Man For All Seasons. What is your pick for Best Make-Up of 1966? Let us know in the comments! Official Nominations: Original: Born Free. The Bible. Hawaii. The Sand Pebbles. Who’s Afraid Of Virginia Woolf. Treatment: A Funny Thing Happened On The Way To The Forum. The Gospel According To St. Matthew. Return Of The Seven. The Singing Nun. Stop The World I Want To Get Off. Two obvious winners for me this year with both my picks having memorable lead themes and plenty of finely tuned incidental pieces. Return Of The Seven does of course borrow heavily from The Magnificent Seven, but it’s still so much stronger than anything else on the list that it gets the win. My Winner: Born Free. Return Of The Seven. My Nominations: Born Free. Return Of The Seven. The Good, The Bad, And The Ugly. Blow-Up. The Sand Pebbles. Dracula: Prince Of Darkness. Fahrenheit 451. I borrow three from the official nominations, and add the steamy and restrained soundtrack by James Bernard which gives a gravitas and emotional content to your typical Hammer fare. Also added is Herbie Hancock’s immortal soundtrack to Blow-Up with an infusion of guitar psychedelia and jazz freak outs, and Bernard Hermann’s mysterious and ominous ode to the future for Farenheit 451. My win of course has to be The Good, The Bad, And The Ugly. It’s unfortunately rare that movie soundtracks enter the public consciousness and have a lasting cultural significance, but that is exactly what Ennio Morricone gives us (and not for the first or last time). 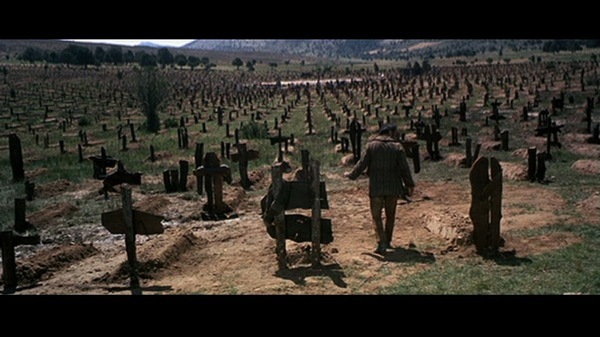 The soundtrack is easily one of the finest ever written, with the title track, with The Ecstasy Of Gold, The Story Of A Soldier, all being classic themes. Official Nominations: Born Free. Alfie. Georgy Girl. My Wishing Doll – Hawaii. A Time For Love – An American Dream. There is one obvious winner here, a song which everyone knows, regardless of whether or not you have seen the movie. John Barry and Don Black’s Born Free, sung with gusty by crooner Matt Munro is both timeless, and a symbol of many 60s ideals. It is synonymous with images of sprawling vistas, African grasslands, mothers and cubs, and of course, freedom. Bacharach’s Alfie has performed by every sing of all time, so take your pick between the Cher and Cilla versions. I much prefer the Susannah Hoffs version – What’s It All About, Austin? – Hoffs really transforms it into a monster, but the basis of a great song was built here in the 60s. Tom Springfield and Jim Dale’s Georgy Girl evokes similar images of the decade and is light, cheery nonsense. It’s instantly catchy and perfromed with pinache by the Seekers. However, it’s impossible to hear it now without changing the lyrics to ‘Hey there, blimpy boy’. So this is a rarity – three great songs so far, WTF is going on Oscars? Berstein and David’s Wishing Doll has an odd mixture of Western tones with the Hawaiian feel needed for the movie, another song with strong melodies, but a much more mournful song when compared to the rapture of the previous three. The final entry is Johnny Mandel’s A Time For Love – a misplaced song in an unfairly maligned film. It’s a soppy enough song which tries to fit the dreary, lurid atmosphere of the movie, but comes off as a fairly standard ballad. It’s ok as a standalone, but it doesn’t work for the movie. My Nominations: Born Free. Alfie. Georgy Girl. Follow Me Boys. The only addition to my list is the title song from the Disney Scout movie, a jolly little ditty which was almost adopted by the USA Scouts as their signature tune. It does feel like a song which should be sung while marching and although it’s very simple it has a pleasant innocence. 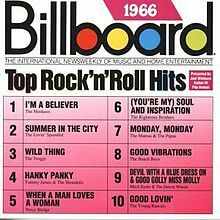 Which movie song of 1966 do you think deserves the Best Song crown? Let us know in the comments!